Chapters 8 through 20 of the Rule of St Benedict are about the divine office. I am not going to discuss the details of how Benedict arranges the times of day to pray and the Psalms to be sung. 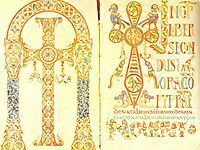 It is interesting for those interested in the history of the liturgy of the hours, of course, but I am not sure it fits the purpose of my blog posts about St Benedict’s Rule for today. Unless you are a Benedictine or other cloistered monk, I am not sure that you can achieve the lofty goals set out here. Besides requiring a certain amount of regulation and order, it also requires time. Now, we are all too busy not to pray. But we may be too busy to pray in this way as (post)modern lay people, many with demanding jobs and family demands. When we take ‘real life’ into account, we begin to see why monks imagine that theirs is the life most devoted to God. So, whether you are gaining inspiration from Benedict or Francis, from the Celtic world or the Athonites, ask yourself: How can I transform my life into ceaseless prayer? Can I find seven times to pray every day? The answer to the second is probably yes, even if most of us have never given it much thought. The answer to the first is to consider the office as a gateway to ceaseless prayer. What office to pray? Where do I find the office? What is the divine office? Well, the divine office or the liturgy of the hours is the round of prayer at fixed times that not only derives from these two injunctions but from the practice of the ancient church and synagogue. Maybe I’ll discuss its biblical foundations another time. Anyway, over the years, different ways and forms of praying the divine office evolved, some for public use in the local church (the ‘cathedral’ office), some for use by monks. There was cross-fertilization between the cathedral and monastic offices; in Byzantium the monastic office pretty much won, whereas in the Latin West it did not, although it influenced the Roman Breviary to a great extent. I recommend starting with Morning and/or Evening Prayer at first before adding Compline or Midday Prayer, let alone Terce and None. Here are some resources for you to start praying the office if you wish to. The Witness Cloud! This is an endeavour started by my Anglican priest brother and I. Our dad and some friends are part of it. We have our own recommended prayers, derived largely from the Book of Common Prayer, but you can use a different text if you like. The point of the Witness Cloud is for us to know that we are all united in prayer with Christ our Lord. We recommend at least Morning and Evening Prayer. As far as particular texts go, I always recommend Morning and Evening Prayer from the Book of Common Prayer. A shorter office was devised by the Anglican Society of Saint Francis, called Celebrating Common Prayer. You can also use the Church of England’s Daily Prayer site, available as an app for your phone. It has both BCP and modern options. If you are a bit more gung-ho, you can try Benedictine Daily Prayer — it seems daunting when you behold the size of the book, but it’s pretty doable if you are looking for a handy way to pray all seven. Verging back into more Protestant territory, my friends at Thunder Bay’s Urban Abbey — a community that prayers the hours every day — have their own set. These are more modern than the other recommendations. Some people also like the Northumbria Community’s Celtic Daily Prayer. I used it for a while but grew desirous of the regularity of the BCP. Many people recommend Phyllis Tickle’s books. Although I dig her last name, I’ve never looked into them. Prayerfully choose what can nurture your own prayer life. The purpose of the daily office, if you ask me, is to create space within the day to meet with Jesus, to encounter the word, and to start to transform our whole lives into prayer, cultivating prayerfulness and silence. I have found it beneficial in my life, as have many others.